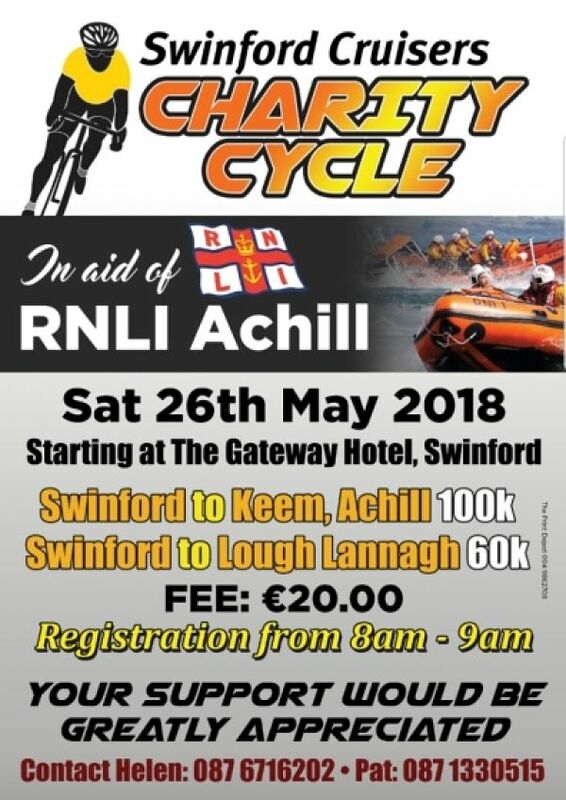 The Swinford Cruisers Charity Cycle in aid of Achill RNLI, will start from the Gateway Hotel on Saturday 26th May with registration from 8am to 9am. The cycle is a distance of 100km approximately and will cover some of the most beautiful scenery in our county. There is a 60km route available also and the fee to enter is just €20.00. The event organiser, Swinford Cruisers on Facebook.